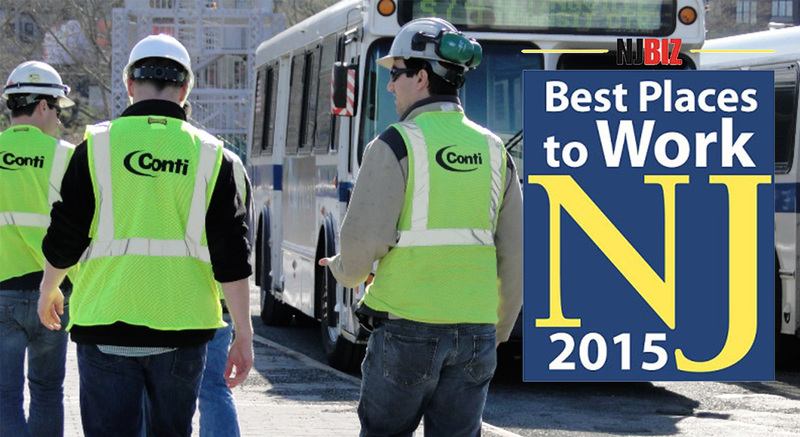 Conti has been named among the top 100 Best Places to Work for the fourth time since 2011 by NJBIZ weekly business journal. This award program identifies and honors the state’s top employers who show a dedication to their employees’ growth and quality of life. Companies from across the state entered the two-part process to determine the 100 Best Places to Work in New Jersey. Companies are first evaluated for their workplace policies, practices, philosophy, systems and demographics, followed by an employee survey to measure the employee experience. The combined scores determine the final ranking. NJBIZ’s rankings for each firm will be announced at an awards ceremony on April 30 at the Hilton East Brunswick.